Increasing numbers of electric motorcycles are coming into the market--but now Energica has upped the ante with its Ego electric superbike. This is a high-performance machine with all the right specs to give an adrenaline rush to any avid motorcyclist. And now, we've test-ridden it. 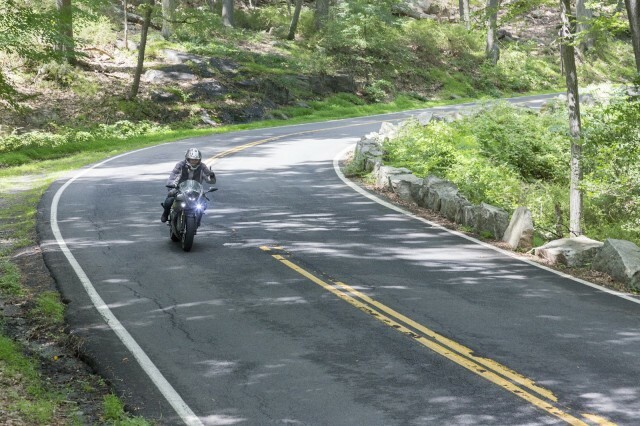 Riding along the roads in Harriman State Park near Bear Mountain, we enjoyed a test ride on some of the best roads in the Northeast. The Ego handled them with a deftness and refinement that made the curves a joy to ride and the potholes almost unnoticeable. This bike gives excellent aural feedback. People think of electric motorcycles as being silent, and current electric bikes on the market are very quiet. However, the Energica has a pronounced sound that really puts the rider in tune with the bike's speed or degree of regenerative braking. 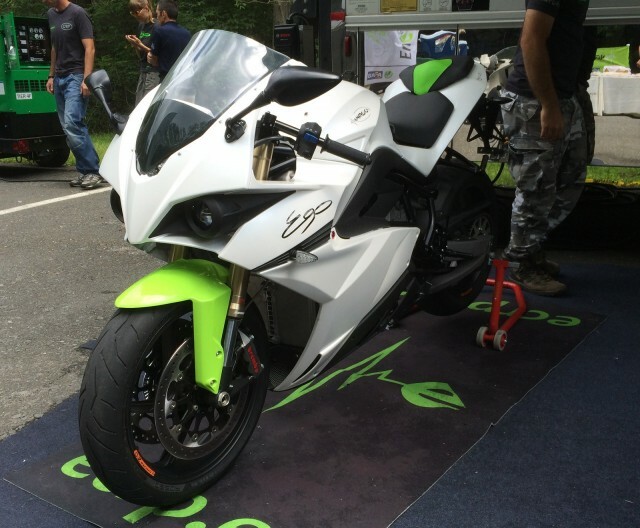 For the test ride, Energica offered Egos with either European or American chargers. 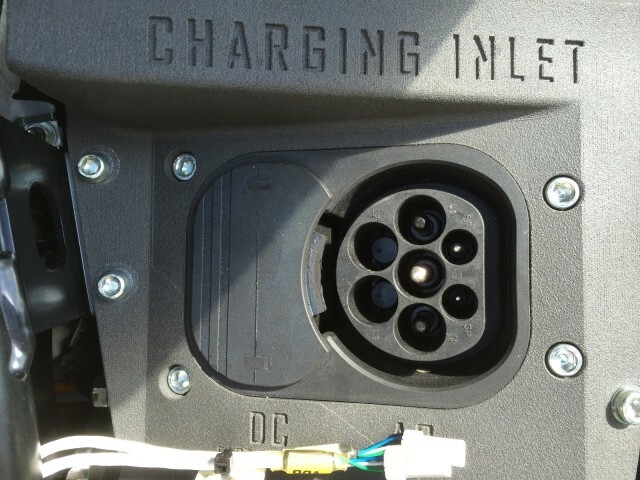 The American version has a J-1772 plug engineered to allow later use of a CCS (or "SAE Combo") fast charger plug as well. This should give owners the ability to charge the 11.7-kilowatt-hour battery to 80 percent in far less than an hour at a suitably equipped charging station. Today, however, there are very few CCS charging locations--far fewer than those for either the more common CHAdeMO used by Nissan Leafs or the Supercharger standard created by Tesla. The onboard 3-kilowatt charger will charge more than half the pack capacity in about two hours--ideal for charging between morning and afternoon track sessions. The bike's display informs you of the charging rate and the battery level. Range: 60 miles, or more? Energica claims a range of 60 miles at a steady speed of 60 mph That seems conservative to me; I would expected you could get a few more miles out of it running at a constant speed. The Ego's friction brakes are incredibly strong, so much so that the company warned us to be very gentle with them--so as not to accidentally do a "stoppie"--or a front wheelie, for readers who may not be bikers. Production models will have anti-lock braking fitted, an important feature for a heavy bike that can attain high speeds quickly. The Energica Ego weighs 568 pounds--heavier than gasoline-powered sport bikes of similar performance--but it handles its weight admirably. Its creators have included a reverse mode that helps riders move this beast of a bike up inclines or gravelly surfaces when necessary. The bike's display screen is nothing less than a thing of beauty, with every piece of useful information offered up in a visually pleasing way. Not only does Energica give riders useful information--including real-time energy use (in Wh/mi)--but it has also color-coded much of the information, letting you use peripheral vision to deduce how much charge you have left. For example, the battery gauge turns yellow at 40 percent of capacity, then red at 20 percent, to let you know when you're heading for the end of your ride. And when a rider accelerates hard, the upper edge of the display lights up like a racetrack tree. 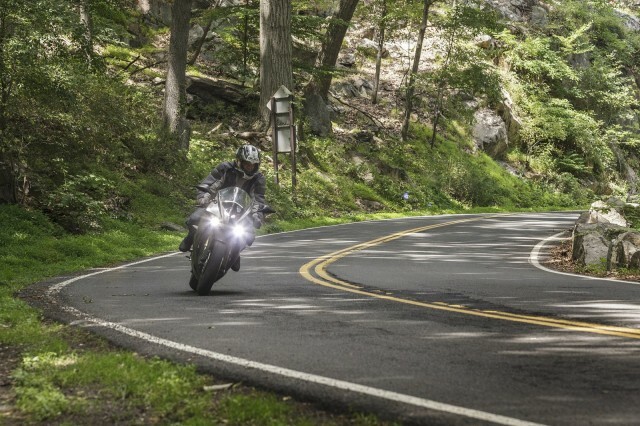 A variety of riding modes gives you an excellent riding experience, regardless of whether you're on a track, stuck in traffic, or riding cautiously on wet pavement. Sport mode gives spirited riding, Standard mode provides ample power, Eco mode makes throttle control easier in traffic, and there's even a Wet mode for rainy days. The Ego's regenerative braking has four modes to choose from: Hard, Medium, Light, and None. Most riders will likely keep it in Hard, which reduces use of the friction brakes almost to zero. The regenerative braking itself is variable, and can be controlled easily and intuitively with the throttle. On my test ride, I changed the mode while riding--it was simple and intuitive enough to do so safely, at speed. In subtle ways, the throttle is remarkable--it sometimes seems as though the motorcycle can read its rider's mind. Low speeds are easy to control, but incredible acceleration is always just a small twist away. Yet there's no point at which the bike jumps or does anything unexpected: It simply works exactly as you intend. 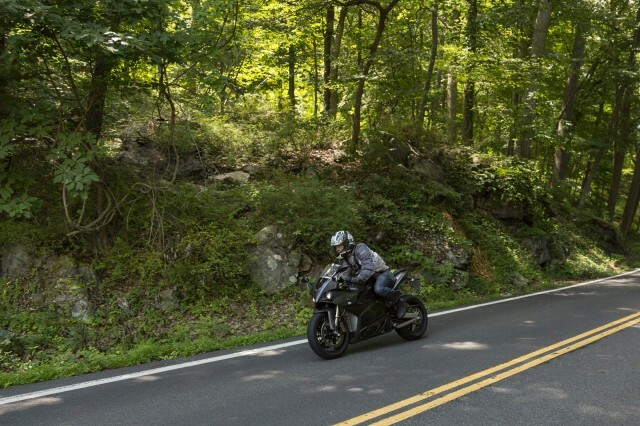 The Energica Ego combines excellent power, and it's highly refined in essentially every way: The throttle response is incredible, the display has everything you need and the suspension and brakes are top of the line. The Ego is scheduled to go on sale beginning in the spring of 2015. It can be reserved for 500 Euros ($670); the price is $34,000 for the Ego, or $68,000 for a limited edition celebrating 45 years of CRP Group (the company that makes Energica motorcycles). The Ego competes with the Mission R and Lightning LS-218 in terms of performance and price. Its acceleration is similar to an M3 Augusta F3 800 or a Suzuki GSX-R750 sportbike, despite a weight of 100 lbs more than either. Energica expects to sell the Ego to the discerning sportbike owner who wants to be on the cutting edge of technology and performance. The design of the bike is aggressive but not punishing, and it's comfortable enough to use in heavy traffic. It's a beautiful motorcycle that is both refined and ready to ride.